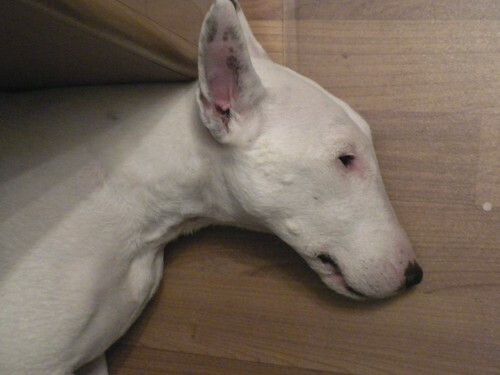 The rare white underthedesk bat-eared canine, originally uploaded by phlegmmy. Pretty girl. How is her "pink problem" doing these days? The medicine she has been on for a couple of years has helped a lot. She still gets "flushed" when she is excited, but when she was at her worst, she had almost no fur on her chest.